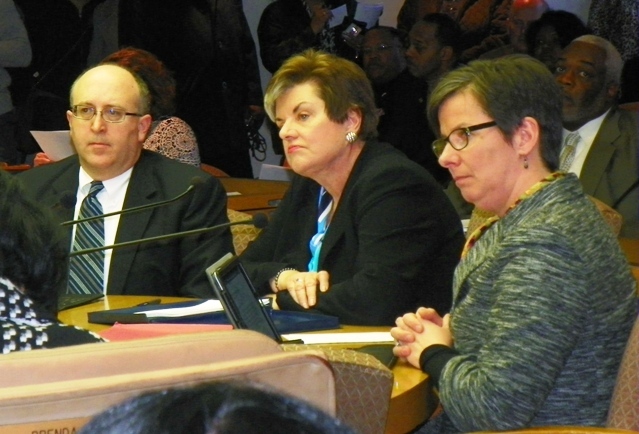 DETROIT – Maura Corrigan, who cut 15,000 Michigan families off public assistance and then recently called most of them part of “the underground economy” and “gamers” in published remarks, came to Detroit March 2 to demand that the City Council voluntarily cede control of the Detroit Human Services Department. “Our goal is that Detroit residents receive every single cent of government assistance that is due to them,” Corrigan said. 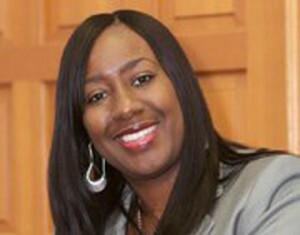 Corrigan is head of the state Department of Human Services, appointed by Gov. Rick Snyder. She was previously a right-wing State Supreme Court justice. Corrigan said the state is withholding nearly $8 million in federal community services block grants from the city’s DHS, and will not renew the contract for the city’s $17 million home weatherization program March 31. After not being paid for several weeks, contractual weatherization workers were laid off Dec. 14, leaving hundreds of Detroiters, mostly seniors, with half-completed work on their homes. The rest of the department is essentially shut down, according to Cecily McClellan, Vice-President of the Association of Professional and Technical Employees. No funds have come in from the state since Oct. 1, 2011. She said there are no funds and personnel left for the department to distribute emergency food resources, pay back due energy bills, prevent evictions, and repair houses using mainly small Black contractors, who are also not being paid. During her exchange with City Council members, Corrigan refused to address them by their titles, for example calling Councilwoman JoAnn Watson “Ms. Watson.” She snubbed city residents who packed the chamber in support of the city’s DHS by walking out before public comment. Councilwoman JoAnn Watson tells Corrigan the state cut-off of funds to DHS is illegal. 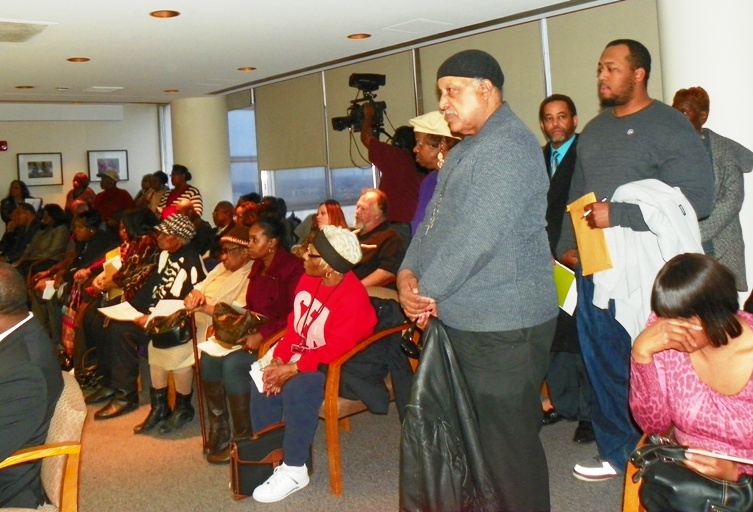 Several building contractors testified that they are owed millions in funds for work they have already done in the weatherization program. Bing has already agreed to a voluntary de-designation of DHS in an exchange of letters with the governor’s office, although he is not authorized to do so without City Council consent according to law. He did not bother to come himself or send representatives to the Council hearing, enraging many Council members as well as the public. 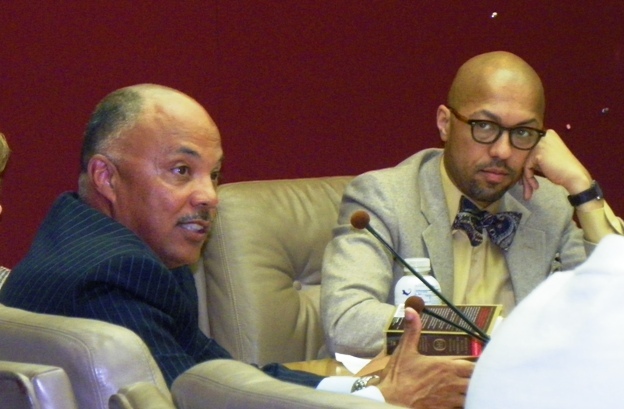 Only Council President Pro-Tem Gary Brown openly supported voluntary de-designation. Corrigan however countered that a “community action agency” has to comply with specific requirements, and that since Wayne Metro is already a CAA, it can continue services without fund cut-offs while Requests for Proposals for private contracts are submitted. 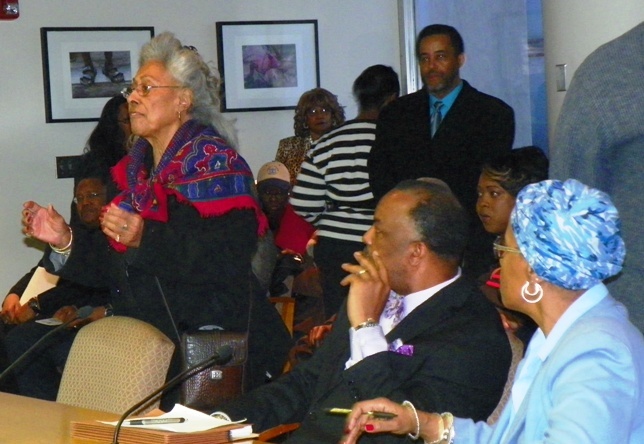 She said the City of Detroit would not be eligible to submit such a proposal. Corrigan claimed “50 to 74 percent of the money” allocated to DHS went to residents who were ineligible. She claimed the department was double-billing the state DHS and Department of Education for various services. She did not produce evidence of this, claiming it was currently under wraps due to the criminal investigation. 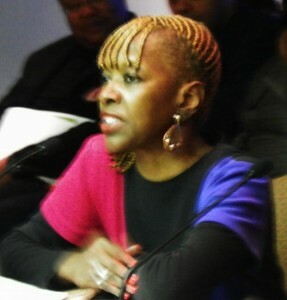 Corrigan claimed she had provided the City Council with numerous notices of illegal DHS practices, but Councilman Kwame Kenyatta, who heads the Community Services Committee, said his committee has not received any such notices. They are essentially routine reports on audits conducted of various divisions of the city’s DHS, which cite minor problems such as workers forgetting to include the quarterly DHS supplement for SSI payments in household income. That supplement is $41.00. The reports say clearly that the households would be eligible for service even with the funds included. In some cases, the Bureau noted that DHS workers had incorrectly cited sources of income that should not have been included, but still allowed services. In general, the Bureau says that all discrepancies they pointed out have been resolved, except for three findings, one of which was not the fault of DHS. 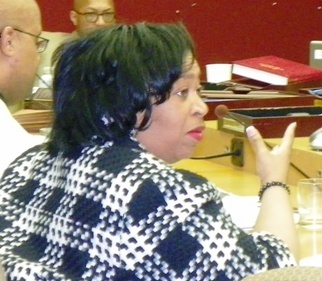 That was that the city’s budget and finance departments used DHS funds to pay $384,175 in interest on debt repayments for the $1.5 billion pension obligation certificate (POC) borrowing during the Kilpatrick administration in 2005. The state asked for reimbursement from the department. The Bureau also found that ONE two-member household was not eligible for weatherization assistance because its yearly income of $8,074.00 exceeded the poverty limit of $7,404. 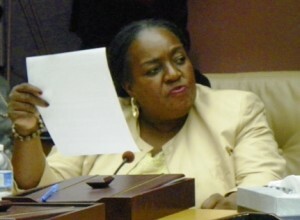 Councilwoman Brenda Jones opposed the voluntary de-designation. The state also found that the department did not do criminal checks on a handful of contractual workers and asked that they do so. Nowhere in the reports does the Bureau recommend that the city’s DHS be de-designated as a community action agency. 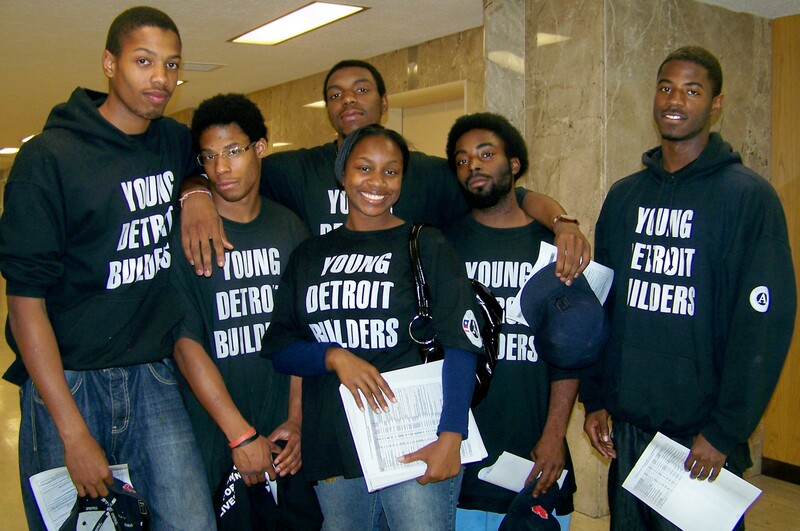 Members of Young Detroit Builders who came to 2010 City Council hearing; three of them are now in college. Since this story was published, VOD has found that funds the Detroit DHS provides to Young Detroit Builders (YDB) have also been cut. YDB is an educational and training program that helps young adults ages 18-24 earn their GED’s while getting hands-on construction training, doing community service and earning a living allowance. They receive counseling and mentoring as well. 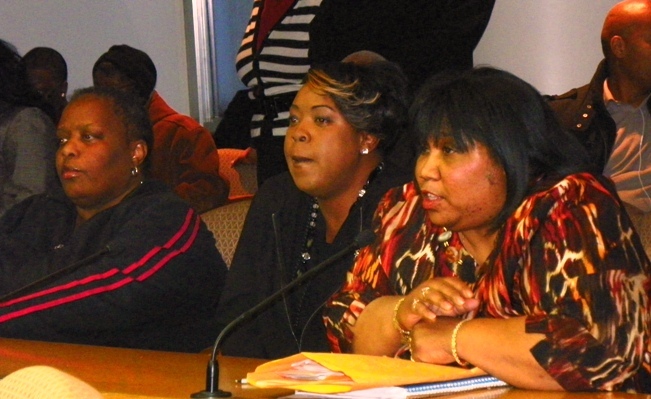 Many graduates of the program have gone on to college, including several of those in the picture at the right, who testified at a City Council hearing in 2010. Officials said YDB funds administered by the city DHS are still owed for the months of August and September, 2011, and that no funds have been received from that grant since then. As a result, many of the workers who run the program have not been paid for weeks, and some have been forced to leave. YDB representatives who were present at the March 2 hearing were on the list to speak, but the hearing ended before they were allowed to do so. Their website is at www.youngdetroitbuilders.org . For background information on how Mayor Bing and the daily media conspired to dismantle Detroit DHS over the last several years, read the whistleblower lawsuit filed by Shenetta Coleman, former director of DHS, at Shenetta Coleman lawsuit best, Coleman alleges she was fired by Bing because she objected to the usage of DHS federal grant funds for renovation of the Herman Kiefer Health Complex in order to combine DHS with the Detroit Department of Health, for payment on the city’s POC debt, and to pay staff who did not work for DHS. VOD: The City Council later sent a letter to Corrigan expressing the majority’s opposition to voluntary de-certification of DHS. Michigan DHS failed to provide for the necessary needs of the City of Detroit DHS. Those necessary needs were financial guidance and regulartory oversight as a subrecipient, pursuant to OMB Cir A-133. 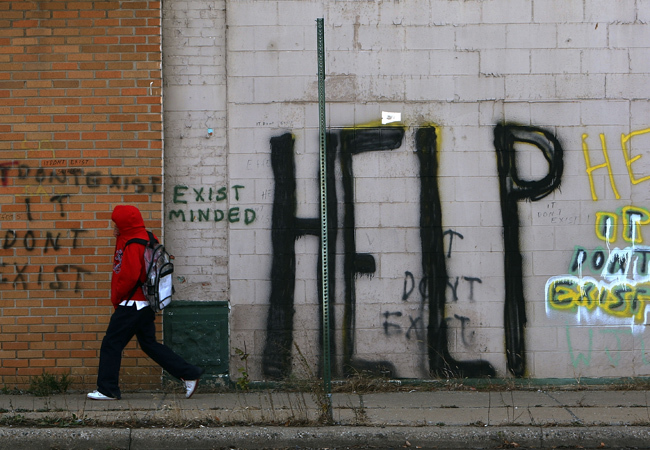 As a result the City of Detroit has failed to financially thrive. Reasonable efforts have been made to prevent removal of Federal Financial Participation Rates of certain grants in HHS OIG DAB rulings. It is in the best interest of the City of Detroit to recommend termination of the public right to corporate oversight of the State of Michigan and place the City of Detroit into federal receivership.